Lambertville Mayor Julia Fahl and City Council introduced “working sessions” this year, which are non-voting meetings designed “for residents, along with the governing body, to discuss ongoing projects and express ideas or concerns about the upcoming voting agenda,” according to the city’s Facebook page. The potential introduction of rotating parklets – This idea came from the last administration and would occur from spring through autumn. Councilwoman Julia Taylor cited Trenton’s use of parklets at Cafe 128, sponsored by Isles, Inc. Questions were brought up on how businesses or community members could apply, what their overall goal would be and who would perform maintenance on them as time goes by. The hiring of a city business administrator – Mayor Fahl revealed that the city has hired a headhunting firm to find a business administrator. The awarded firm, The Canning Group, bid well-below the state threshold of $17,500 at a cost of $9,500. The link to the job description has been be posted to the city’s website and the firm will receive applications over the course of the next three weeks. The mayor, city clerk and city solicitor will go through the final candidates’ resumes and then select finalists to interview in front of the governing body. The responsibilities of the business administrator will be the “daily execution of city budget, governmental operations, and inform some project management,” said Mayor Fahl. Speeding and parking issues on Cottage Hill – Another large portion of the meeting concerned a public request relating to speed and parking issues on S. Franklin St. Two residents mentioned that the street becomes congested when downtown residents move their vehicles across Route 165 to avoid the street sweeper or parking meters. Council wondered if putting street sweepers up there might kill two birds with one stone: alleviate parking issues, while preventing the many leaves from clogging up storm drains on that portion of Cottage Hill. Mayor Fahl suggested she would have to contact public works to see if they could handle the increased capacity and what the cost of street sweeping signage may be. 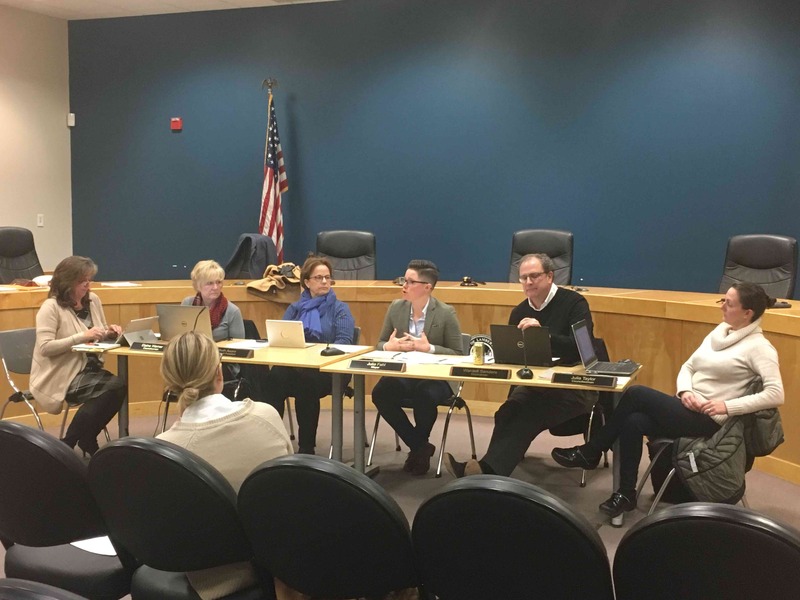 The creation of two new committees – The first was the Lambertville Celebration Committee, which will be given a small line item budget and will plan holidays, parades, block parties, street closures and help make roads clean for Halloween. The second was launching the Lambertville Volunteer Committee; the group’s goal will be enhanced community outreach. Fahl noted that almost 80 people inquired to be on city committees, but there were only 12 available spots; this new grouping could help meet that demand while creating a “resume bank of people that the city can go to,” she said. Actual votes on these issues and more public comment will take place at the regular governing body meeting on Tuesday Jan. 29. Bond ordinances mentioned also to be voted on Jan. 29 were on the affordable housing and redevelopment project as well as garbage truck maintenance. Walker’s Wine and Spirits is also selling their liquor license, which council has to approve. I thought the mayor’s job included daily execution of city budget, governmental operations, and project management. Sounds like Lambertville will have two Mayor’s, one elected the other will be place by a outside head hunter. Doesn’t really sound like democracy at work.